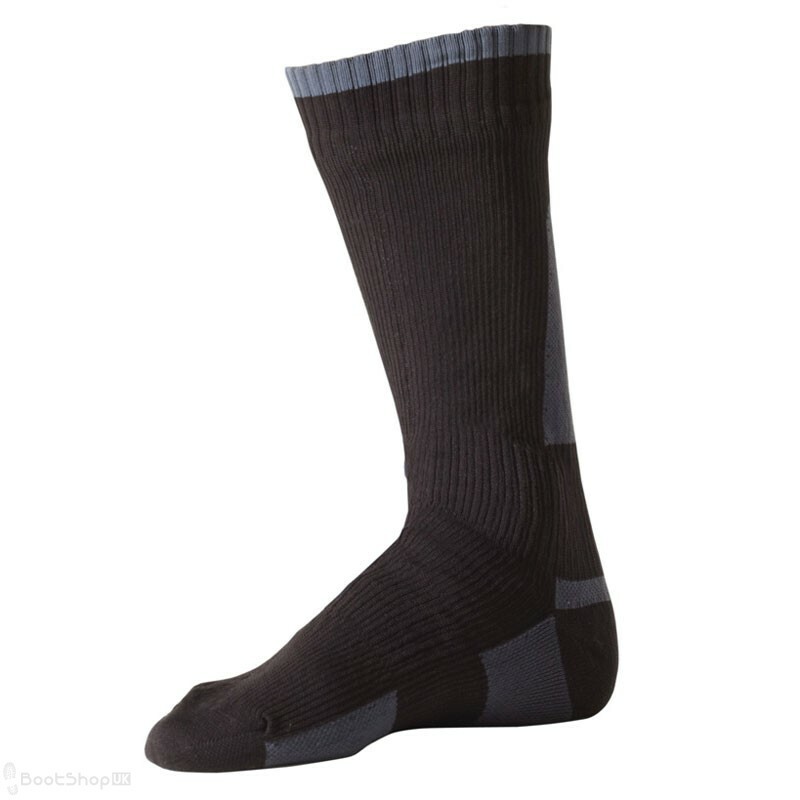 Sealskinz socks incorporate their unique seamless, close fitting, 3-layer technology. 1. A close fitting inner that actively wicks sweat and moisture away from the skin. Merino wool loop pile lining gives warmth and excellent wicking performance. Elasticated arch and ankle provides support and ensures a close, comfortable fit. Suitable for outdoor pursuits, including walking and cycling, in cold, wet weather.